As a small independent local family funeral directors, it means that we, unlike some of the larger corporate funeral companies we have a considerable amount of flexibility in what we are able to offer our clients and in the charges we make for those services. We are members of the NATIONAL FEDERATION OF FUNERAL DIRECTORS which means our premises, staff and working practices are all accredited and it also means that the majority of the funerals that we can offer come within the FAIR PRICE CHARTER. 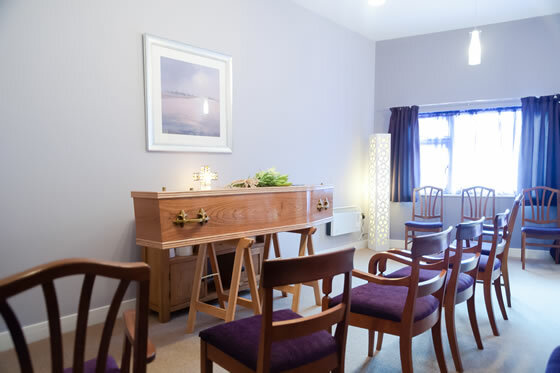 As well as our other traditional funeral services, we offer a SIMPLE FUNERAL.This service is for those who wish to have a basic but dignified funeral, which means that there will be no church service or extras required. The funeral is offered with fixed services which cannot be added to and is offered at a fixed price, meaning no hidden extra costs. (unlike a lot of other simple funerals offered). We have set out two SIMPLE FUNERAL options which we think offer extremely good value for money without compromising on our highest quality of service. A simple but dignified wooden veneered coffin. Our hearse and staff for attendance on the day of the funeral. The doctors fees for completion of the required paperwork. The minister or celebrants fee to officiate at the funeral service. Collection of the ashes from the crematorium. Supply and place a temporary grave marker. PLEASE NOTE: The Simplicity Funeral cannot be added to, except for Newspaper Notices and Floral Tributes. We can however assist in arranging these for you on your behalf and these will be added to the funeral account. You will receive a full funeral confirmation of all the arrangements along with a full estimate before the date of the funeral service. The funeral account will be sent in approx. four weeks from the date of the funeral. Once the funeral has taken place, should there be any monumental masonry work required, for example a cremation plaque, headstone or additional inscription we can offer a 10% discount on any memorial work in conjunction with the SIMPLICITY FUNERAL. The SIMPLICITY FUNERAL has been designed as a basic funeral package and is only one of many funeral options that we can offer. Please feel free to contact us at anytime should you require any further information.